sprezzatech blog #0007 — dude, where're my registers? 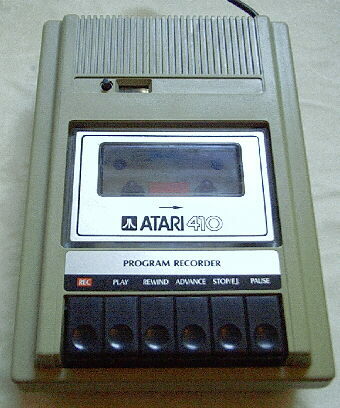 The ATARI 410 Program Recorder enjoyed not fully reading your programs, which you discovered upon careening off the end. programs sounded different, warbled differently, when played outside the ATARI 410 Program (cassette) Recorder) to meaningfully use it. Of course, if you were writing BASIC, none of this was visible to you anyway—unless you timed access to a 5 DIM A$(1) 10 A$="A" “array” vs access to a regular ol' 10 A = 65 (no, I did not perform this experiment as a six year old). Anyway: very few registers. That's the upshot. The X86 world is significantly more complicated (as X86 tends to be). The scandalously low number of general purpose registers is partially offset by the past decade's complicated, dataflow-driven cores: use of register renaming helps facilitate out-of-order execution across a much wider hardware register file, and thus the small number of architectural registers doesn't restrict ILP. This doesn't help programmers, though, but the advanced caches standard on X86 cores at least absorb much of the delay due to register spills. So dude, where are my registers? We need the -code argument to nvcc in order to generate machine-specific SASS rather than just PTX, because PTX doesn't tell us anything about register usage (or altogether very much else, except how to emit some kinda half-assed pseudo-SSA). I used sm_21 because I've got a GTX 460 in this machine; adjust to taste. We pass -O3 to ptxas to ensure we're not getting non-production crap left in there. Most likely, “64-bit” registers have some kind of R(2*n) alignment requirement, hence R3's use as padding (look at monadic). Placing these in R0..R3 would have eliminated the need for this padding, but perhaps with so few registers being used, ptxas doesn't care. Maybe my hypothesis is just wrong, or even a canard. Collecting evidence for or against it is left as an exercise for the reader. Why aren't R6 and R7 reusable? We drop to 6 total registers, with a1 being freely blown away. Interesting, especially as the CUDA Programming Guide claims that use of __restrict__ “may increase register pressure” (this is true due to other possibilities, but it seems just as likely to reduce register pressure). Ahhh, here's our IMAD...but it seems odd that we needed specify a value to unroll, though it didn't matter what that value was so long as it was greater than 1! Explicit sequences such as *a1 += *a0 + *a0 and *a1 = *a0 + *a0 + *a0 are converted into sensible ISCADD 0x1 and IMAD 0x3 instructions, respectively. But what about this tart medicine? Holy snapping duck fucks, what is this hippie horseshit? Why no condensation of the IADDs into a single VADD, eliminating the need to blow away R1? Well, it's not as if R1's actually alive following 0x0048, and there's no point in saving someone if they're already dead. If we throw a loop around this, we get two IADDs into R0. It'd be interesting to analyze the data dependence/throughput characteristics of VADD vs two IADDs—perhaps one requires less parallelism to hide the dependency delays than the other— but it's 0733 EDT, and I have other stuff to do. Hack on, cool kids!